In the past 200 hundred years, seven cholera pandemics have killed millions across the globe. The seventh is still going on, but advancements in medical science have greatly reduced the number of people who die from it. People are treated at the St. Nicholas hospital in Saint Marc, Haiti, on Oct. 21, 2010, during a cholera outbreak. ((Dieu Nalio Chery/Associated Press))In the past 200 hundred years, seven cholera pandemics have killed millions across the globe. The seventh is still going on, but advancements in medical science have greatly reduced the number of people who die from it. In addition, modern-day sewage and water treatment systems have largely eliminated cholera from developed countries. But it continues to be a concern in the developing world, especially in areas ravaged by war and natural disasters such as earthquakes and hurricanes that leave people without access to clean drinking water. Unlike the first six, the seventh pandemic originated in Indonesia. It ravaged populations across Asia and the Middle East, eventually reaching Africa by 1971. By 1973, the pandemic had spread to Italy. There were also small outbreaks of the same strain — El Tor — in Japan and the South Pacific late in the same decade. Red Cross volunteers receive cholera vaccinations before heading up to Banda Aceh, Indonesia, to take part in tsunami relief efforts in January 2005. (Tatan Syuflana/Associated Press) In 1991, 100 years after cholera was vanquished from South America, there was an outbreak in Peru that spread across the continent, killing 10,000 people. It was a similar strain to the seventh pandemic that petered out more than a decade earlier. An outbreak among Rwandan refugee camps in the Democratic Republic of Congo killed tens of thousands in 1994. The World Health Organization reported that nearly 500 people had died in an outbreak in Zimbabwe in the last few months of 2008. The outbreak affected most parts of the country and has so far involved almost 12,000 cases. The outbreak is blamed on deteriorating infrastructure in a climate of political crisis. 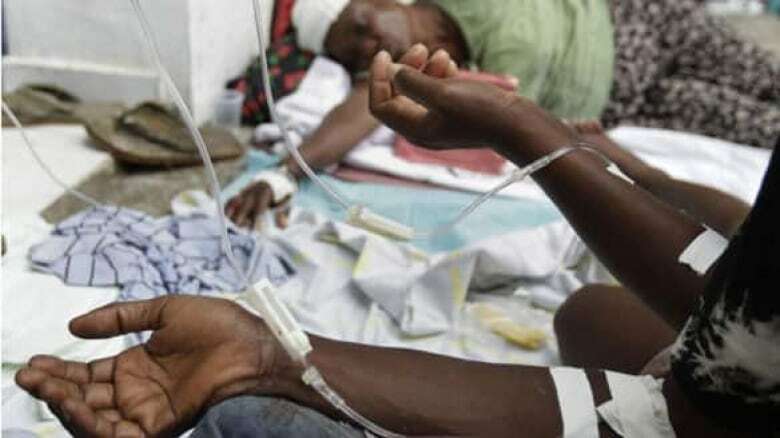 In October 2010, at least 250 people in Haiti died in an outbreak of cholera, almost 10 months after a major earthquake devastated the country, killing more than 200,000 people. The discovery of a new species of the cholera bacteria (O139) in Bangladesh in 1992, which has since been detected in 11 countries, has raised the possibility and fear of an eighth pandemic. At the turn of the century, the sixth pandemic killed more than 800,000 in India before moving into the Middle East, northern Africa, Russia and parts of Europe. By 1923, cholera had receded from most of the world, although many cases were still present in India. The fifth pandemic originated in the Bengal region of India and swept through Asia, Africa, South America and parts of France and Germany. Cholera claimed 200,000 lives in Russia between 1893 and 1894; and 90,000 in Japan between 1887 and 1889. Quarantine measures based on the findings of John Snow kept cholera out of Britain and the United States. In 1892, Waldemar Haffkine, a Ukrainian bacteriologist who worked mostly in India, developed a human vaccine for cholera. The fourth pandemic began in the Bengal region from which Indian Muslim pilgrims visiting Mecca spread the disease to the Middle East. From there it migrated to Europe, Africa and North America. At least 30,000 of the 90,000 Mecca pilgrims fell victim to the disease. Cholera claimed 90,000 lives in Russia in 1866. The third pandemic, generally considered the most deadly, originated once again in India. It devastated large swaths of Asia, Europe, North America and Africa. In 1854, the worst year, 23,000 died in Britain alone. In that same year, British physician John Snow succeeded in identifying contaminated water as the transmitter of the disease, a breakthrough in eventually bringing it under control. Snow carefully mapped the cases of cholera in the Soho area in London and traced the source to a water pump. After convincing officials to remove the pump handle, the number of cholera cases in the area immediately declined. The second pandemic started in India and reached Russia by 1830 before continuing into Finland and Poland. A two-year outbreak began in England in October 1831 and claimed 22,000 lives. Irish immigrants, fleeing poverty and the potato famine, carried the disease from Europe to North America. On their arrival in the summer of 1832, 1,220 died in Montreal and another thousand across Quebec. The disease then entered the U.S. through Detroit and New York, and reached Latin America by 1833. Another outbreak across England and Wales began in 1848, killing 52,000 over two years. The first known pandemic of cholera originated in the Ganges River delta in India. The disease broke out near Calcutta and spread through the rest of the country. By the early 1820s, colonization and trade had carried the disease to Southeast Asia, central Asia, the Middle East, eastern Africa, and the Mediterranean coast. The death toll from this outbreak is not known, but based on the 10,000 recorded deaths among British troops, researchers estimate that hundreds of thousands across India succumbed to the disease. In 1820, 100,000 people died on the Indonesian island of Java alone. By 1823, cholera had disappeared from most of the world, except around the Bay of Bengal.